As a glance down any street in America quickly reveals, American women have forgotten how to dress. We lack the fashion know-how we need to dress professionally and beautifully. In The Lost Art of Dress, historian and dressmaker Linda Przybyszewski reveals that this wasn't always true. In the first half of the twentieth century, a remarkable group of women--the so-called Dress Doctors--taught American women that knowledge, not money, was key to a beautiful wardrobe. They empowered women to design, make, and choose clothing for both the workplace and the home. Armed with the Dress Doctors' simple design principles--harmony, proportion, balance, rhythm, emphasis--modern American women from all classes learned to dress for all occasions in ways that made them confident, engaged members of society. 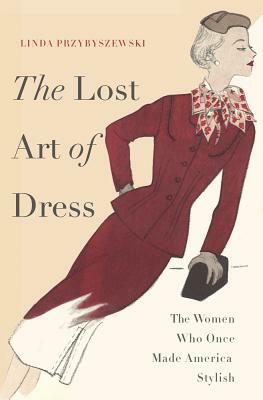 A captivating and beautifully illustrated look at the world of the Dress Doctors, The Lost Art of Dress introduces a new audience to their timeless rules of fashion and beauty--rules which, with a little help, we can certainly learn again. Linda Przybyszewski is an associate professor of history at the University of Notre Dame. The author of The Republic According to John Marshall Harlan, the editor of Some Memories of a Long Life, 1854-1911, as well as a prize-winning dressmaker, she lives in South Bend, Indiana.